One of the greatest things about having your own place is finally having a space of your own. However, this will be all for naught if the space you have acquired does not feel quite as big as it should be—or feels a little bit cramped or cluttered. There is a lot of wasted space potential if you do not make use of your high ceilings. You can easily open up floor space by building a loft bed—particularly if you have ceilings that are quite tall. 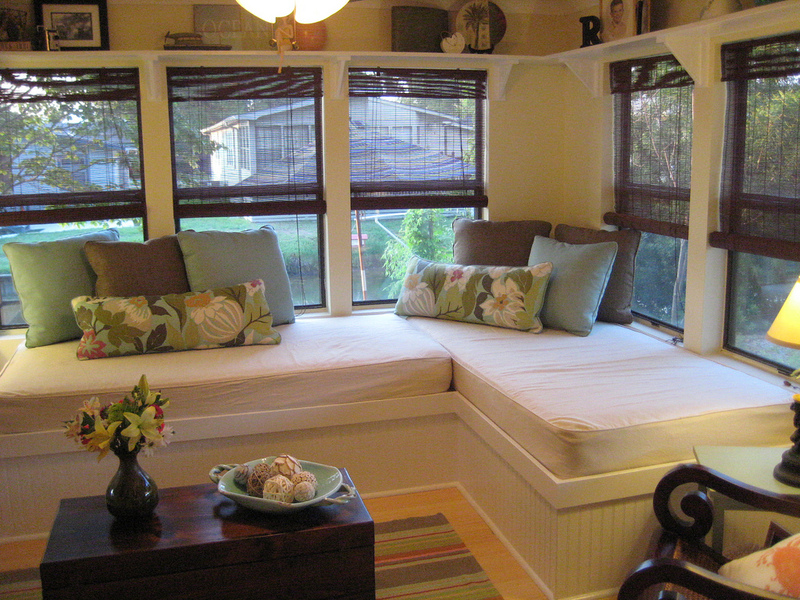 If you want to maximize the use of the space, you can install a sitting area beneath the sleeping area. However, if you do not have enough height for a sleeping loft, you can still use the height of a room for storage high on the walls. Consider adding another row of upper cabinets in your kitchen to maximize storage options. Instead of having two different fixtures for two separate house hold activities, tasks and chores, find a fixture that consolidates this into one. For example, have a sink that serves the dual function of cleaning dishes and washing your face or teeth. As a result, you would no longer need a separate lavatory sinks. Additionally, it introduces a need for a more thorough and immediate cleaning. What about a sofa bed? it could really come in handy for small spaces. If you are living in a small space, it would not make sense to install gigantic furniture. When maximizing space, do away with furniture that is either too big or occupies too much space. There is no absolute need that you are required to have an industrial oven or a six seater sofa. Simply install the essentials and do away with the rest. A good way to start is to ask yourself what appliances you can live with in a smaller and more compact size. Clutter, no matter how big or small a space is will always be an eyesore. But they are all the more annoying in tiny spaces. They can easily make your small space feel like a cramped and tight room, so make sure you eliminate unnecessary items from your home. After all, you are going to need every small space that you can get. Remember if there are things strewn around in a room which you probably do not need, or have not thought of using in quite a while, it might be better to just toss it out. Living in small spaces is not exactly ideal for hoarding and collecting items. One of the most novice mistakes when it comes to small space living has something to do with storage. More often than not, you install storage fixtures that are not compatible to your home’s size making your room feel cramped and tight than it already is. Instead of installing these bulky fixtures, opt for an open storage instead which would look a lot better on small spaces. To create a visual appeal, utilize unusual and creative items as storage containers. Things such as baskets mounted on the wall and the like will make for a very interesting room.